A relatively open screen, ARO Array 1 is made up of an organic leaf-like pattern. 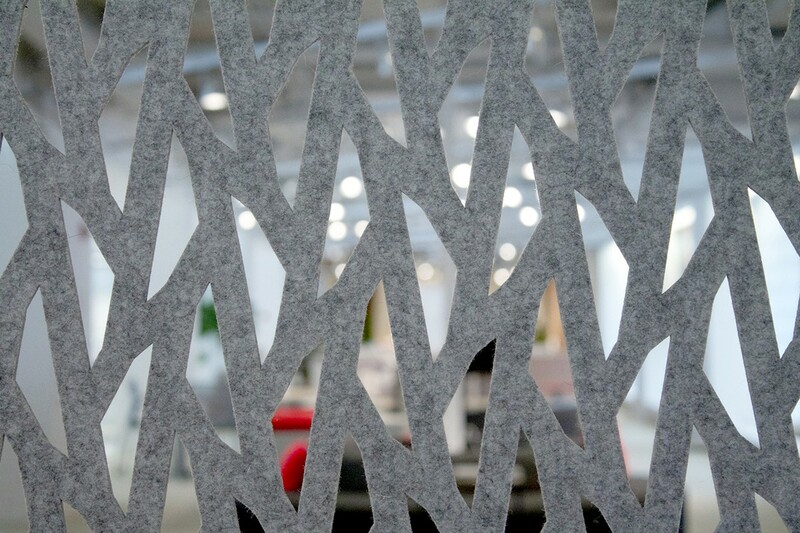 ARO Array hanging panels add texture, color, and modulated visibility to any space. 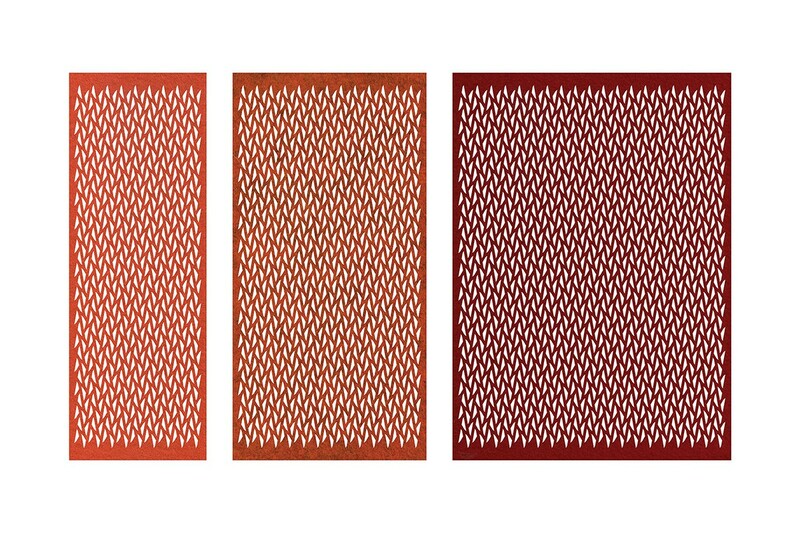 ARO Array offers standard static and transforming patterns that can be used individually or in series. The panels define space, control light and view, and provide varied degrees of privacy. The ARO Collection is an Interior Design HiP Performance Wonder award winner.